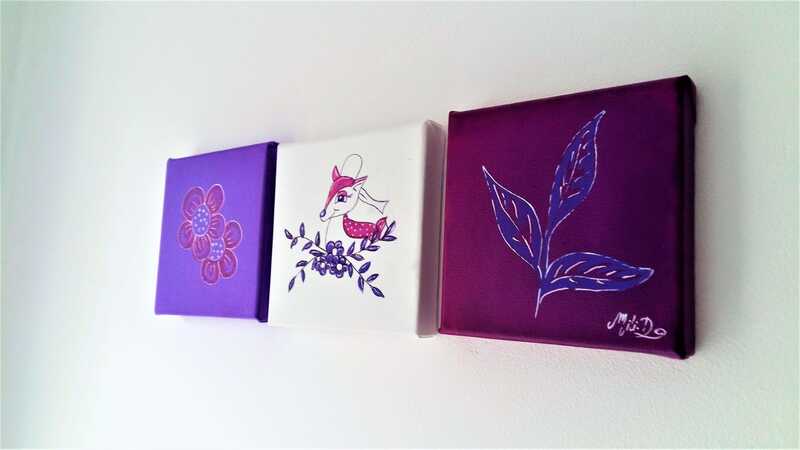 Lot de 3 tableaux "Biche"
Are you waiting for a happy event? 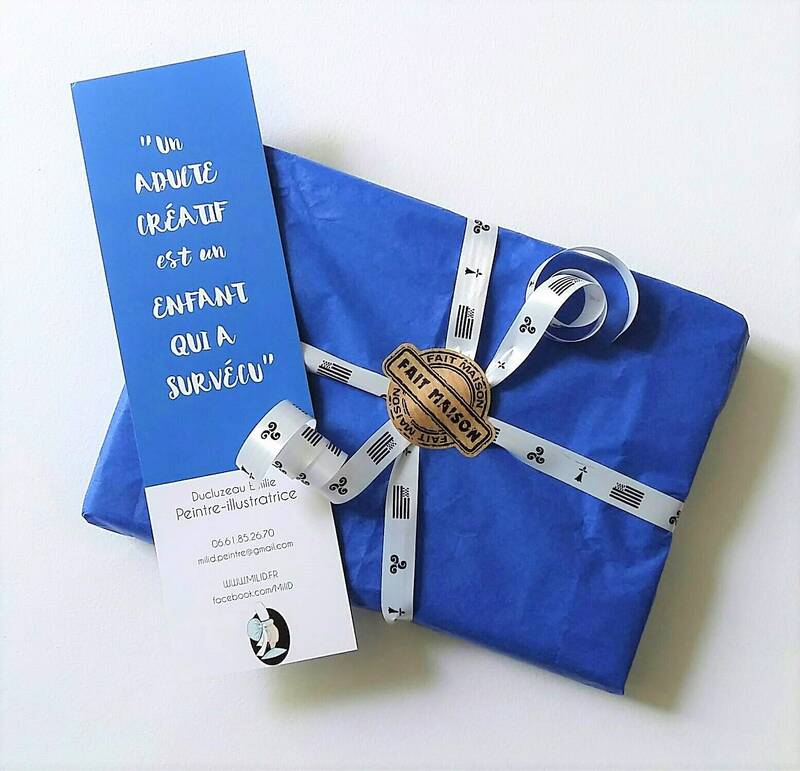 Looking for a birth gift? You change the decoration of your child's room? 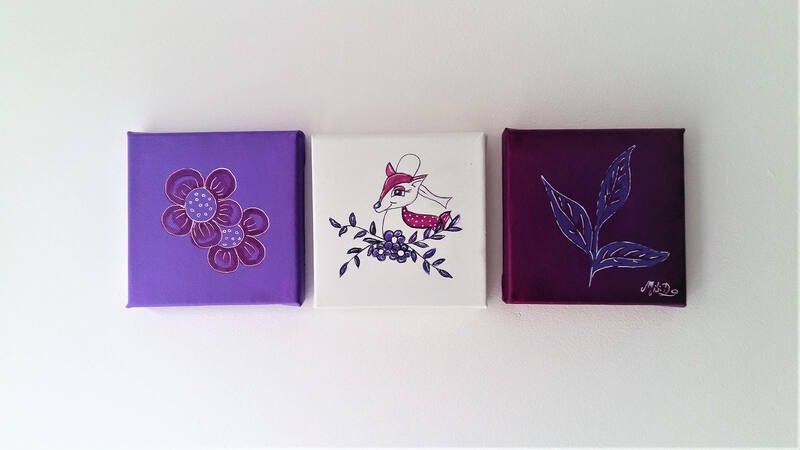 This set of 3 paintings is for you! The painting lot "Biche bretonne" is made by Mili.D from acrylic paint. 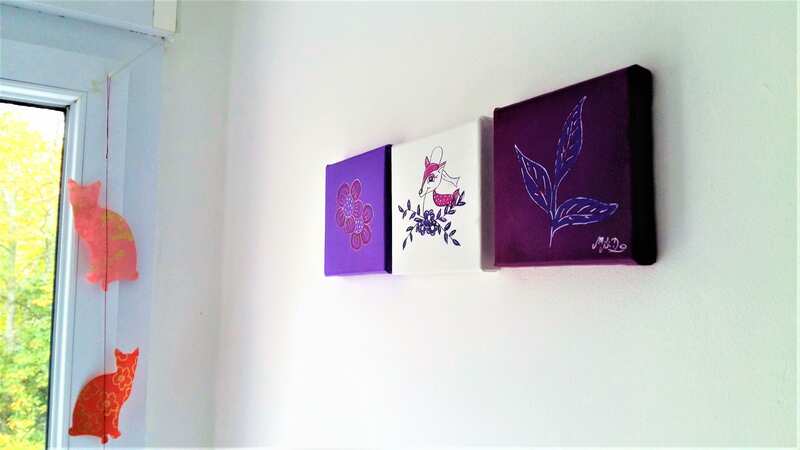 Purple and white purple colors give energy to a child's room. This wall decoration can be personalized on demand by adding a name or choosing your colors. Wrapped in bubble wrap, the paintings are well protected.